Drafty Rooms: Although the problem may be your windows, don't assume that to be the case. Convective currents (or just improper installation) are usually to blame. Rooms Too Hot or Too Cold: Having some rooms that are harder to heat or cool indicates problems in insulation, ducts, or the heating and cooling system. Dusty Rooms: It has to be coming in from somewhere! Improperly sealed home, leaky ducts, and/or an improperly balanced duct system are all potential culprits. Heating/Cooling System Runs Continuously or Turns On/Off Frequently: This may indicate an overly leaky or drafty home or an oversized or undersized heating or cooling system. Asthma or Allergies: Homes that are too leaky or drafty bring unwanted allergens into your home from outdoors- a sign that you may need to seal your home. Odd or Musty Smells: Musty smells usually mean mold. It doesn't take high Concentrations of mold to create odors; microscopic and airborne mold affects your health, moreover, it's usually the result of energy efficiency issues as well. De/Humidifiers or Pests: If you have to run a humidifier or dehumidifier, or you've treated your home for pest issues, you're probably treating the symptoms and not the source. Cold Floors: This is usually a sign of problems with insulation, ducts, weaknesses in the thermal and pressure boundaries, and/or and improperly sized HVAC system. Rooms Over Garages: These rooms are generally neglected, with consideration to the comfort of the home. Because of this, they're often riddled with energy issues. Cracks in Walls: Although the blame usually lands on the settlement of the home, expansion and contraction from moisture levels and rotting crawl spaces can also lead to cracks in the walls. Paint Peeling or Blistering: This relates directly to relative humidity in the home. If your home has excessive dryness or humidity; it's a sign of larger issues. Dirty around Registers: This is an indication that, condensation is occurring and collecting a higher amount of dirt. This is a good clue that other problems exist. Icicles or Ice Dams: Don't blame it on a "bad" winter — not everyone had the same problems last winter. The "bad" winter just exposed the weaknesses. Crawl Spaces: If you have a crawl space, you need an energy analysis for many reasons. Energy loss, mold growth, temperature imbalances, rotting wood… the list goes on and on. Simply put, there is nothing good about a musty, rotting, drafty crawl space beneath your home. High Energy Bills:Don't compare your bills to your neighbors' bills. Their bills may be high for their size home — and after all, we want to improve our efficiency anyway. Sign Up For a Home Energy Usage Analysis Today! 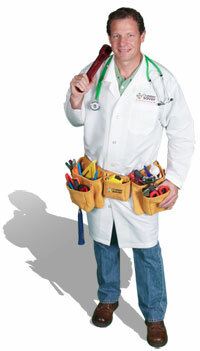 Contact us for a free home inspection and home energy analysis estimate. 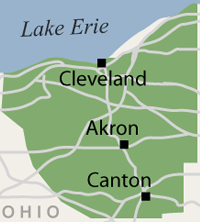 We operate in the Ohio area, including Cleveland, Canton, Akron, and nearby localities such as Lorain, Elyria, Massillon, Medina, Strongsville, Lakewood, Chagrin Falls, Painesville, Westlake, Ravenna, North Olmsted, North Royalton, Cuyahoga Falls, North Canton, Barberton, Bedford, Hudson, Brunswick, Kent, Beachwood, Wooster, Gates Mills, Willoughby, Stow.